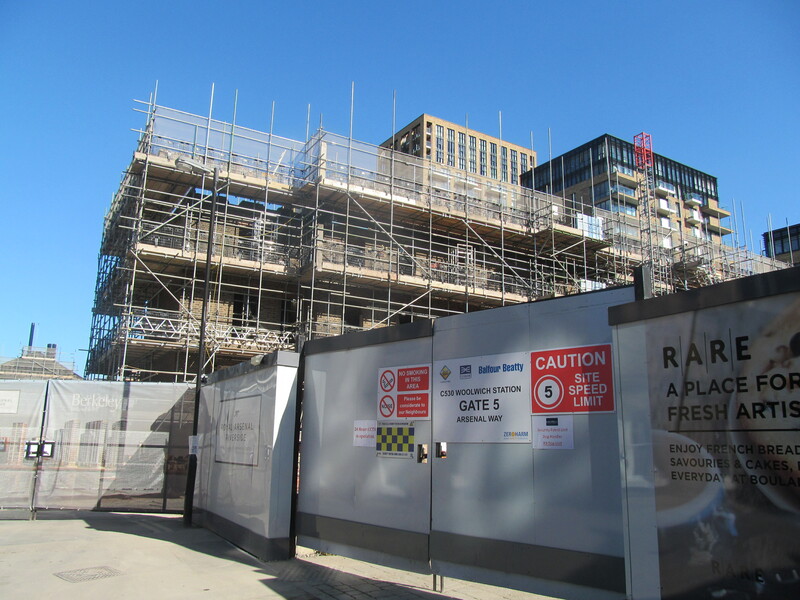 Workers have begun attaching cladding to the frontage of Woolwich’s forthcoming Elizabeth line station ahead of planned services beginning later this year. The pattern on panels is a nod to the sites history and based upon the interior profile of a rifle which causes a bullet to spin. That’s one for the Dial Arch pub quiz. Persistent rumours have appeared regarding a delay at Woolwich and Whitechapel station. A number of stoppages of work at Woolwich have occurred due to industrial action. So far no confirmation of a delay has been announced. It’s one to keep an eye on. If a delay does occur trains will likely run through from Abbey Wood to Custom House. Refurbishment work at the listed Officers’ House beside the station is well underway. 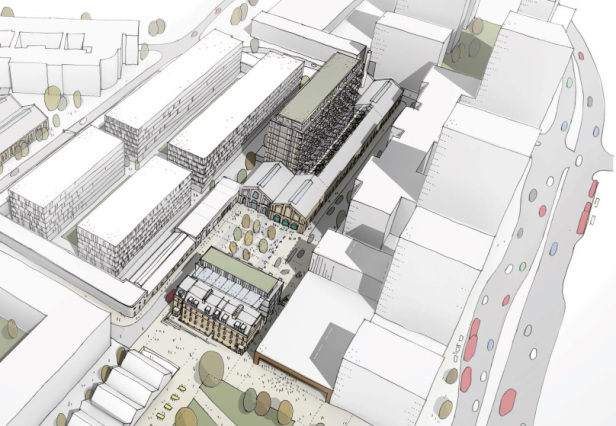 Berkeley Homes initially wanted to flatten the building but changed course after a local outcry. It’s easy to spot recent changes behind scaffolding as the building is stripped back. 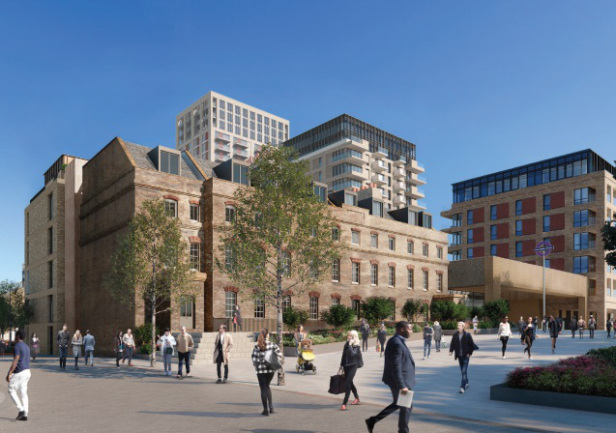 Though Berkeley Homes follow-up plan, which was approved, means building a new block on top of another listed building and restricting daylight to many existing residents. Looking forward to seeing the new Woolwich Elizabeth Station revealed when the cladding is completed.